Nirmal Kumar Acharya, former editor in chief of Gorkhapatra daily, has several books in Nepali to his credit, including those on first Nepalese women and 101 first Nepalese women. He is among the very few former editors who write for newspapers regularly and also author books. 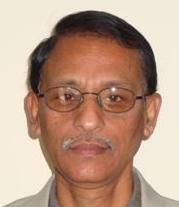 During his editorship at the country’s oldest newspaper, “Birsanai Nahune Krishna Prasad” was brought out. Given Dr. Mahesh Raj Pant’s fastidious nature, journalist Acharya has pulled off quite a feat by roping in the noted historian to write its preface. Preface by Pant is an acknowledgement of the author’s bent of mind in works of deep study and research. The work on Kishna Prasad Acahrya is a model for biographers. Meticulous care is made in assembling facts and interpreting them with caution and logic. The background information on issues and individuals to put things in proper perspective is supplied appropriately. Given his penchant for the work, the author can be seen moving around gathering facts and meeting individuals of reckoning and experience. He shows traces of inhibitions in writing on his grandfather. His background as a journalist might have contributed to this. However, he need not be. The book contents prove it. Krishna Prasad Acharya’s straightforward nature and candid response invited many obstacles and setbacks too in his personal front. A man full of energy and bright ideas, he wore many hats, including those of book publisher and salesman, advertiser, legal eagle, police personnel and poet. He was well aware of the power of advertising, and was among the earliest few Nepalese who placed newspaper advertisement for his business. His law practice was in Hetauda and Kathmandu. In fact, he had set up Gorkh Hitashi Office in Gorkhpur to publish, distribute and sell books. It was doing good business but had to be closed down when he had to tend to family matters in Kathmandu and the one he stationed in Gorkhapur to look after the shop could not handle the business well. An enterprising entrepreneur who tried his hand in various fields, Krishna Prasad Acahrya (1951 BS2045 BS) made a mark in much of the 20th century. His social standing got translated into popular mandate when he was elected Pradhan Pancha of Pashupati Gram Panchayat. One of his achievements was that he was the elected representative in 2006 BS from among 35 pradhan panchas representing Char Bhanjyang (Kathmandu Valley and periphery) to join what was an equivalent to parliament. Initially several persons showed interest to serve as the elected representative but in the eventual run Acahrya and another pradhan pancha stood for the contest. Voting was conducted by raising hands. Of the 35 votes, Acharya obtained 23. The one who oversaw the electoral process was Subarna Shumsher Rana (not the Nepali Congress leader who led an exiled life in Calcutta). Rana Prime Minister Mohan Shumsher made an effort at defusing the growing public demand for popular units in the governance of the state. But the dispensation was worried about any “Congressi” being elected to the advisory council. In September 1950, Bhardari Sabha opened in Gallery Baithak amid growing popular voice for reforms. Keshar Shumsher Rana was the chairman of the council that was supposed to be a version of parliament defined by Rana Prime Minister Mohan Shumsher. Within weeks, King Tribhuvan, tired and fed up with the Rana regime, ignited the much-needed mass movement for political reforms when he took shelter at the Indian embassy and left for New Delhi. The Rana oligarchy alternated the tactics of waxing eloquence and issuing threats to have the king return to Narayanhity Palace for his captive-like traditional role. When that did not work, they summoned the Bhardari Sabha to endorse a move to announce King Tribhuvan’s dethronement and enthronement of Prince Gyanendra, Crown Prince Mahendra’s second son. Krishna Prasad Acahrya suggested that due procedure should be applied to the sensitive issue of removing one king and bringing in another. Such voice questioning the modality of a sensitive political nature attracted scorching attention. Most members of the body avoided or shunned Acahrya, who they took for a “Congressi”. Some months later when BP Koirala was home minister in the Mohan Shumsher-led cabinet, Pradhan Pancha Acharya briefed him about managing Pashupati area under Pashupati Village Panchayat. Koirala was positive but changes in government and the Pashupatninath Bhatta’s petition to the palace stalled any meaningful progress. Interestingly, during the 1959 general elections, the Subarna Shumsher Rana duo played key roles. One of them was the election commissioner and the other, a senior Nepali Congress figure, chaired the Council of Ministers entrusted with the task of holding the country’s first general elections. The Rana duo earned praise for their respective roles. Commissioner Rana supervised the first ever general elections while Cabinet Chairman Rana carved out a distinction for himself as having successfully overseen the historic exercise that also gave his party a landslide victory. With increasing number of Nepalese migrating to the United States for education, green card, employment and entrepreneurship, their presence is gradually on the road to becoming noticeable. Opening restaurants is one of the endeavours of enterprising Nepalese. A successful businessperson tells this scribe that there are some 100 restaurants run and operated by Nepalese of different. This would mean that there are several hundred restaurants in the “land of opportunities” that flock to with such enthusiasm. Those in the know add that restaurant is one of the popular economic ventures Nepalese undertake abroad. The graph does offer food for thought, no?